When you have a lot of users coming and going in your cafe or shop or gaming center. 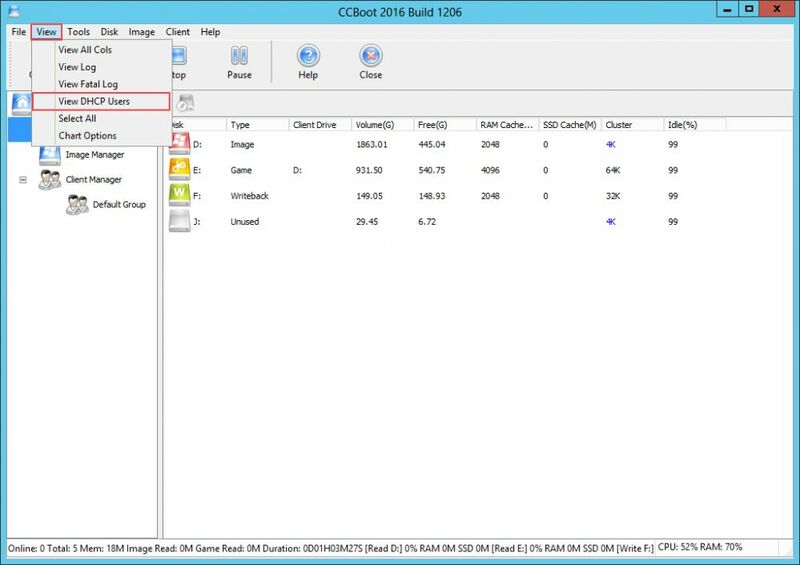 And use wifi or other connection in your network, CCBoot sends our IP to them and some time all IPs get used ip and new devices cannot get IP. 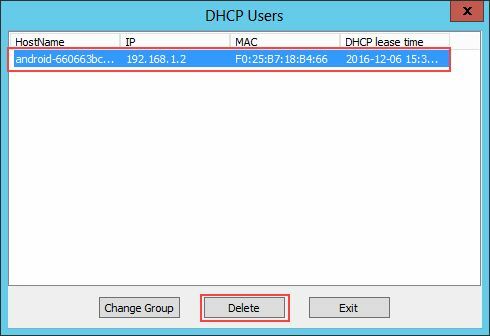 Solution: You need to delete the clients listed in DHCP users list. 1. In CCBoot UI, click View then View DHCP Users (Figure 1). 3. Now, click "Yes" in the prompt (Figure 3). 4. 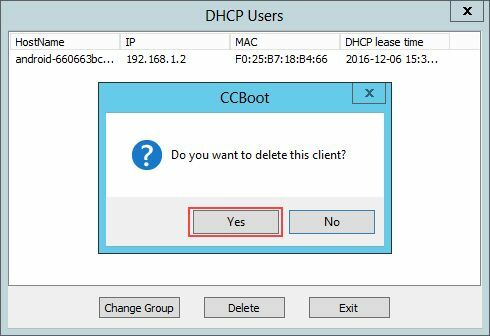 The DHCP user list will be empty and now CCBoot will be able to give IP to new clients or devices (Figure 4).